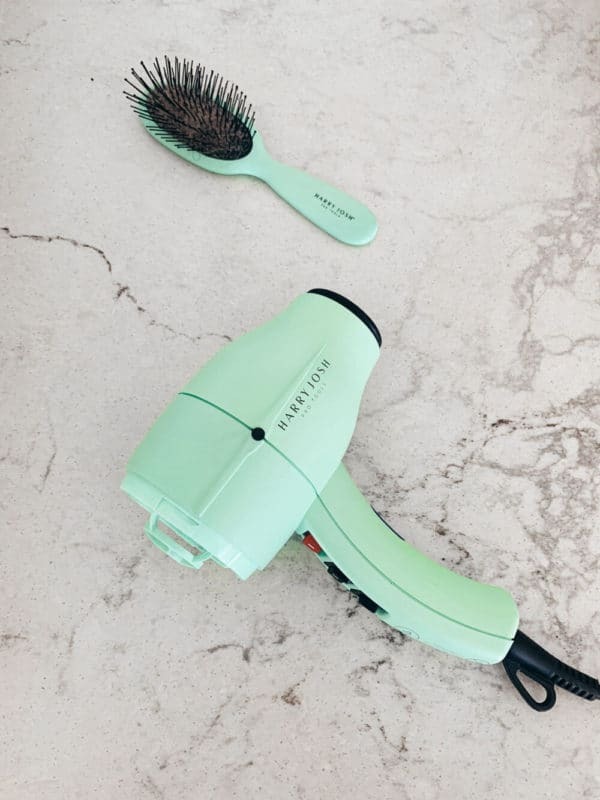 Home Beauty Reviews Harry Josh Blow Dryer Review: Does it Live Up to the Hype? Are you 27 and still using the blue dryer your blow dryer from high school? Is your blow dryer so old you wonder if something is living in it? After spending 4 years bedridden with my hair in a wet bun I was finally able to start blow drying my hair again. When I dug my old blow dryer out of the bathroom cabinet it grossed me out. I realized that at some point in the while tucked away something sticky spilled on it, and the stickiness attracted all kinds of awful things. I cleaned it up and turned it on, but I couldn’t help but wonder what I had left to breed inside. I felt agitated using it, and when I did, it turned my hair into a giant frizz ball. After initially reverting back to my wet bun, I decided to buy a new blow dryer. I was so tired of cheap blow dryers that I did not buy a $30 one from Target or Sally’s. I did not even buy a $50, but went all out and bought a $200 blow dryer. After reading the reviews of this one, I decided to go all the way and get it. My first thought was that I loved the color. It is a minty green, one of my favorite colors. It is heavy but compact, which I love. When I first turned it on I thought it was broken. The blown air was alternating between hot air and cold air, and I did not realize it is supposed to do this. By alternating back and forth, it kept my hair from frying and helped out with the frizz. I have naturally “curly” hair. 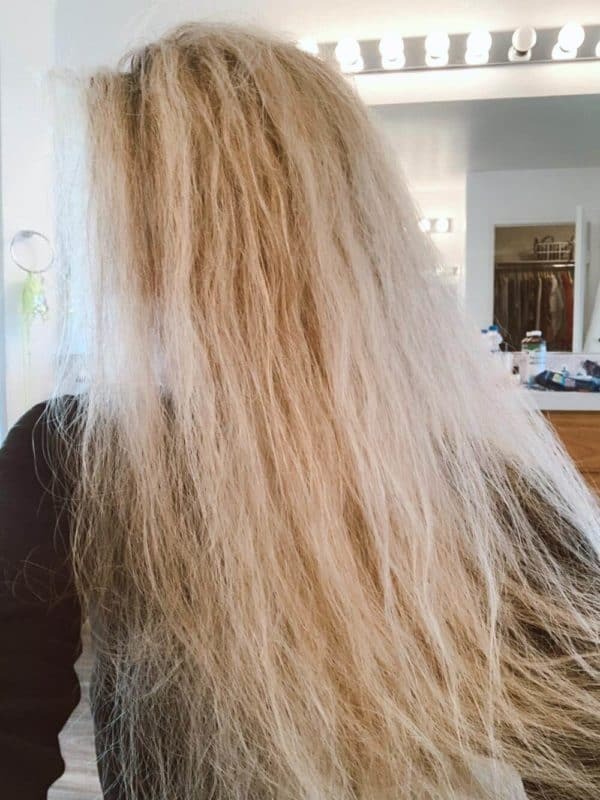 Not the pretty curls, but the curls that are half waves, and randomly mixed in with a bunch of straight hairs. I live in Las Vegas, so the climate is as dry as it gets and dye my hair more blonde. My natural hair color is what I like to call a “nothing” color. It isn’t blonde and it isn’t brown. It is in between, though as I get older my hair does seem to be getting darker. I have used the blow dryer for a few months now and have no complaints. It really does work well. 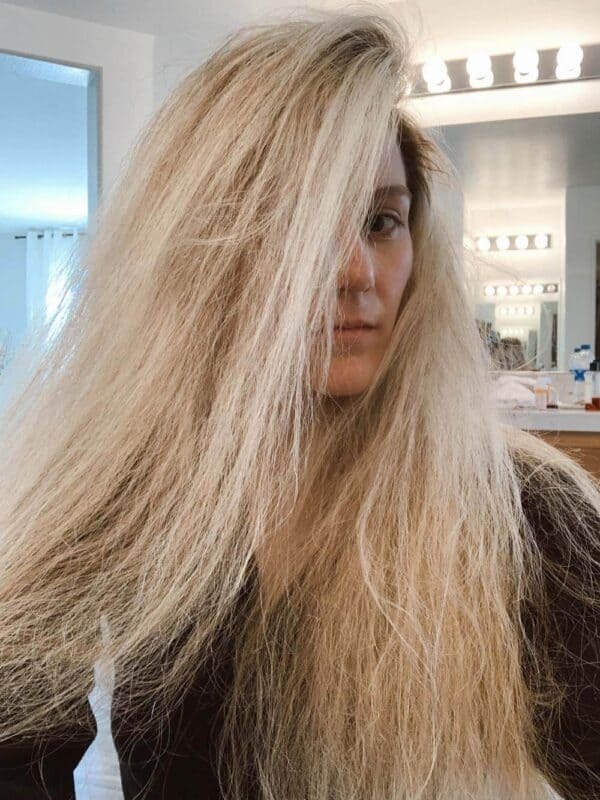 You don’t have to dry your hair while combing it to keep the frizz down (no one has time for that). Aside from being one of the most shared hair dryers on social media, Harry Josh Pro Tools Pro Dryer 2000 is the recipient of several prestigious awards, including Allure’s “Best of Beauty” award and Glamour’s “Best Pro Hair Product” for 2016, to name a few, making it the best hairdryer in its class. Here is my hair after using the blow dryer. It is important to note that I do not comb through my hair while blow drying it. That takes way too much time with hair as long as mine. Honestly, it works really well, I just don’t know if what it offers justifies the cost. Don’t get me wrong, it is really nice. It is probably a little too nice for me since I have already broke it (my fault, not the product’s). I tend to be really “hard” on my things. In other words, I break things. I try not to buy things that are really expensive that can easily break, since I inevitably will break them. Negatives: It is really heavy! It is heavy and fragile. It knocked it off my vanity and the end piece shattered. It still works, but it does kill me that I spent so much it, and within a few months I broke it into pieces. I didn’t know this at the time, but turns out the end piece is pretty important. It keeps your hair from getting sucked into the back of the blow dryer. Let’s just say I found that out the hard way, and I now have layers in the worst way. It sucked my hair in and the knots were too tight to break apart; I had to cut them out. It isn’t their fault. I take full ownership for allowing it to slide off my vanity, but I am not interested in a buying another blow dryer that can’t survive a fall or two. When I went back to Dermstore.com (where I bought it with a 20% coupon) they do offer a full two year warranty on it. The warrant is great, but it reminds me of how expensive the product is that it comes with a two year warranty. They also sell the filter and pieces separately if you want to replace them. Harry Josh has also created a newer version of this blow dryer called the Harry Josh Pro Tools Ultra Light Dryer. It is supposed to be ultra light (less than 1 pound) and dry your hair even faster…BUT…it is a whopping $350! Yikes. Will I ever spend $200 on a blow dryer again? Maybe, we’ll just have to see. So what blow dryer would you recommend trying out? Do you have a favorite? or do you prefer the cheapest one and replacing more frequently? Let me know your thoughts in the in the comments below. Dr. Jart Water Fuse Sleep Mask Will Solve All Your Dry Skin Problems!